How To Use Enochian Magick To Achieve Success! 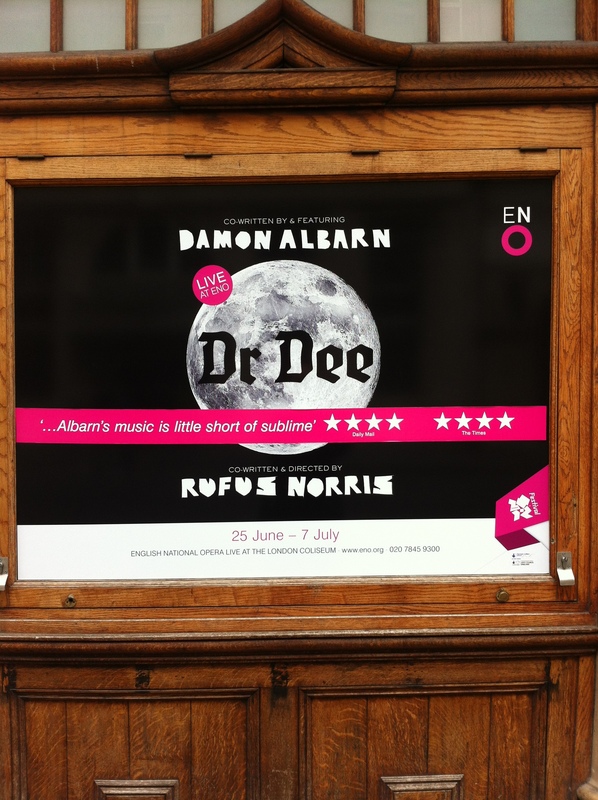 “Dr Dee,” the opera by Damon Albarn and Rufus Norris. So there I was in London’s West End, weaving my way in and out of people wearing rainbow-coloured attire, en route to the English National Opera at the London Coliseum to see the matinée performance of “Doctor Dee.” Given that John Dee was such a pivotal figure in the Western Mystery Tradition – and remains so today – I found the idea of creating an opera about him curious. The idea that somebody famous like Damon Albarn would do so,and put it on in a major West End venue was even more curious, so I thought I’d better go investigate. Here then are my impressions of the event. The venue was sold out. I scanned the audience, but I could not see anyone who looked obviously like an Enochian Magickian, except possibly a sinister couple dressed all in black. I was wearing a PELE ring all the time but nobody clocked it! No: instead I would estimate that the vast majority of the audience were there simply because they had been fans of Blur from back in the day – some were old enough now to bring their children with them. I did detect a sizeable number of “habitual opera goers” who appeared to be neither fans of Blur nor interested in the story of John Dee, but had just turned up because it was the pretentious thing to do. Inside the auditorium, I immediately noticed that the outline of a large Sigillum Dei Aemeth had been marked on the stage. The lights darkened and a winged messenger announced the beginning of the performance: a raven flew down from “the gods” and alighted on stage, before obediently scampering off into the wings. There is an inevitable urge to compare the live performance with the soundtrack album which is currently available. In my opinion the former far surpasses the latter. Live, it is as much a work of dance, mime and even son et lumiere as it is of music. There are two sets of musicians: an orchestra hidden in the pit, whilst Damon Albarn and a group of musicians with Elizabethan instruments sit in a gantry which, during the performance, is raised above the stage. Rather than a “conventional” (read: old-fashioned) opera, it is staged in a deliberately expressionistic style in order to illustrate the story. So for example the first appearance of Dee is as an old man on his deathbed, which is wheeled around stage by his daughter. 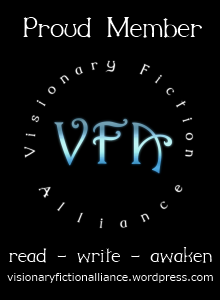 The rest of the story is then told in flashback – although even as Dee is going about his adventures, the figure of the daughter pushing the deathbed is periodically seen in the shadows at the back of the stage, reminding us of his unfortunate destiny. Dee’s rise as a man of learning is depicted in a dance sequence in which a dancer (disguised as the character) figuratively speed reads books which transform into endless streams of paper. Interestingly, the “endless streams of paper” later becomes the material which makes up the walls of the set in the various scenes – suggesting that Dee’s life was literally defined – or indeed limited – by his books and his obsession with learning. The story though is a straightforward tragedy. Dee rises to prominence as a scholar and gets a rare chance to prove himself by casting an electional horoscope for the coronation of Queen Elizabeth I. The coronation is a success, and the new Elizabethan age buoys Dee’s fortunes – which include meeting and marrying his beautiful wife Jane. But Dee wants more – and into his life comes Edward Kelley (sung as a castrato, which is quite ironic given the Plot-Point in Act Two). With Kelley’s skrying Dee dares to aspire to the ultimate goal – not just human knowledge, but Divine Knowledge. However, whilst Dee becomes obsessed with stealing this fire from heaven, he is ignorant Kelley staring long and lustily at his wife. Eventually tensions come to ahead. With his reputation under attack, Dee bullies Kelley into more skrying – at which point Kelley claims that the spirits are telling Dee to share Jane with him. Dee, who by now has had his vanity well and truly inflated by the spirit communications, cannot bring himself to admit that the same spirits who flattered him with the promise of Divine Knowledge before could be lying to him now (a classic case of Cognitive Dissonance!) agrees to let Kelley have his way with her. (Interestingly although Jane Dee was wearing a shift throughout, there was the merest hint of the Cup of Babalon visible at this point!) In short order Dee sees his life fall apart – his marriage ruined, his public reputation destroyed from accusations of “conjuring,” and he dies as an old and broken man. Hence: Albarn places the blame for Dee’s ruin only partly on Kelley, but mainly on Dee himself. Dee’s lust for power – in the form of knowledge – obsessed him so much as to give him a towering ego. Kelley, whilst a rogue, was however merely motivated by natural inclinations of lust towards Jane, and resentment towards Dee. In assessing a work like this, the question naturally arises: how much does Damon Albarn really know about the occult? In the press he has been evasive. When asked if he really believed in magic, he replied: “Cycling round London at 4am on a sunny morning – you don’t get more magical than that.” It is however obvious that he knows more than he is letting on. On the CD of the opera there is a cheeky sample of Aleister Crowley reciting an Enochian call (the sample is missing from the live performance). Even more tellingly, on the CD the first track is entitled “The Golden Dawn.” This incidentally was not played on Saturday when I went to see it, except very softly as the audience were taking their seats at the beginning. More obviously though, many of the graphics that make up the Son et Lumiere are adapted from Dee’s magical manuscripts, for example the Tabula Bonorum Angelorum and the seals of the 91 Governors. So one could say that Damon Albarn has used Enochian Magick to create a successful opera! Which is probably a more impressive feat than any Enochian magician has ever managed. Unfortunately, despite the fact that the current run has sold out, as indeed did the previous run in Manchester, this is unlikely to be one of those ongoing West End productions that will keep on going. The production is too heavily reliant on a unique set of performers, of which the most obvious example is Damon Albarn himself. It is hard to see the run being ever extended by changing the cast periodically, which is how most long-running West End hits sustain themselves. “Dr Dee” of necessity will only run for as long as Albarn commits himself to it. This is also why it could only transfer to e.g. Broadway if Albarn went to live in New York for sometime, which admittedly is theoretically possible. Hence, if I were given to prognosticate, we should expect to see a DVD of the performance being released sometime in the future.